Americans were shocked to learn about the disturbing “drag queen” sweeping the nation. 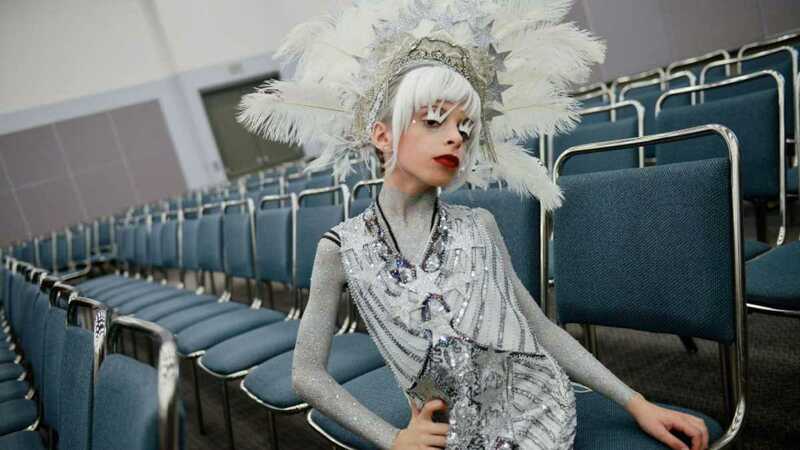 Even worse, the mainstream media helped celebrate an 11-year old child with special needs dressing up as a “drag queen” at the encouragement of his mother. And after this child was permitted to perform in an adult homosexual bar – bystanders had enough and the authorities were called – but you won’t believe their response. One would think authorities would respond swiftly to an underage boy dressed as a woman dancing for cash in front of lustful adults at a bar. No way you spin the story makes it justified or acceptable. Then this same child was paraded on national television and celebrated as some sort of star for being “brave”, again with his mother cheering him on. Additionally as horrific, the mother continus to exploit her son for public attention and financial gain. She even has a website and Facebook page dedicated to him where she continues to post pictures of her son dressed as a female. Thankfully, Child Protective Services (CPS) were notified so they could help rescue 11-year old Desmond from his mother, right? Yet another agency sympathetic to the LGBT agenda, CPS cleared Desmond’s mom of any wrongdoing, which further led to her insistence she is doing the right thing by exploiting her son as a drag queen. It is appalling CPS actually refused to acknowledge this behavior as unacceptable. They are literally choosing to side with LGBT activists over protecting the best interests of a child – who is being sexually exploited. Perfectly good parents are fighting for their lives to protect their children against false accusations of “abuse”, yet when a child is actually suffering at the hands of a mother who lets her child dress up in “drag” and dance in front of men, nothing happens. And if there was ever any doubt at just how perverted the “drag queen” circle is – look no further than a convicted child sexual predator dressed in “drag” reading to children at a local library. Young Desmond needs to be rescued from his unstable home. For a mom to exploit her own child and take advantage of his innocence is truly diabolical. What are your thoughts on CPS continuing to let an 11-year old boy with special needs be exploited by his own mother? Do you agree with the mother that allowing her son to dress up as a “drag queen” is harmless?